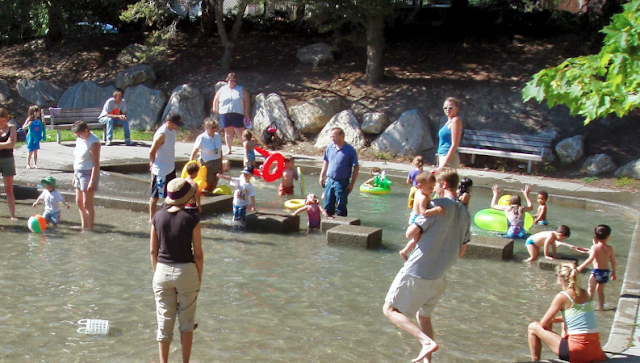 Seattle Parks and Recreation operates 22 wading pools and spray parks across Seattle including ones at Bitter Lake, Northacres Park, Madison Park, and Greenlake. The map at this link has all locations. Your little ones will love the cool, shallow water and you can cool your own grown-up toes too! They open on days with sunny skies and warm temperatures, and they update the hotline, 206-684-7796, by 9am each day to indicate whether they will fill the pools. The wading pool schedule is also available online. Schedules are subject to change. They also have information on their Facebook page. Click here for information on all of Seattle's summer aquatics opportunities, including indoor and outdoor pools, sprayparks, and summer beaches.